Donna joined Dutton Brock after spending several years as a Federal Crown Prosecutor. She previously worked as an adjuster with a leading Canadian insurance company,where she obtained her CIP designation. Donna enjoys being in court. 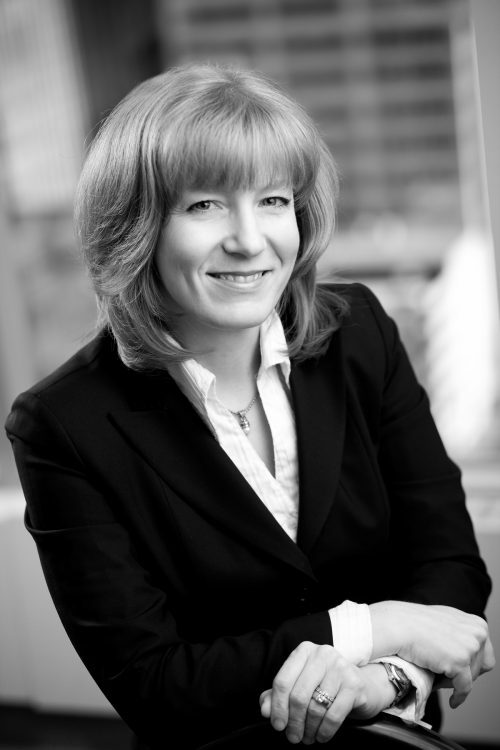 She has argued cases in the Ontario Court of Justice, Ontario Superior Court, and the Ontario Court of Appeal. Donna is developing a broad insurance defence practice focusing on occupier's liability, professional negligence, motor vehicle accidents and coverage disputes, with a special interest in fraudulent claims and the interface between criminal law and civil liability. Donna earned her Honours Bachelor of Sciences degree in Biology and Psychology from McMaster University. She subsequently received her CIP designation while working for a major Canadian insurance company. She obtained her law degree from Osgoode Hall Law School in 2007. Donna received a Chancellor’s Scholarship from McMaster University. She was awarded the Beard Winter Prize for Trial Advocacy and the Charles Edward Woodrow Award for academic achievement at Osgoode Hall Law School. While at Osgoode, Donna mooted competitively, winning at both the provincial and national levels in the Arnup Cup and Sopinka Cup trial advocacy moots. Donna was awarded the Best Overall Advocate prize at the national level by the American College of Trial Lawyers.